The club is pleased to announce season ticket details ahead of the 2018-19 campaign. Season tickets for the new campaign are now on sale, with various options available for supporters. Next season, our pay on the day prices will also be increasing, so our new prices reflect this. As a reward to our loyal supporters, we are offering an early bird saving on the full price tickets. To benefit from this further saving, your ticket must be purchased by April 30. The tickets will be the normal price from May 1. The ticket will gain fans entry to all home league games at Mariners Park next term. Current season ticket holders with a seat will have their seat reserved until April 25. Any seats not confirmed by this date will be available on general sale from April 26. All new seat requests will be allocated by the club. Please find below the new season ticket prices. The figures in red are our early bird prices. Please note, all Under-13s must be accompanied by an adult at all games. The quickest and easiest way to purchase a season ticket is to visit our website store by clicking here. Current seated season ticket holders will need to come down to the club in person to confirm reallocation. Once you have completed your purchase, you will be notified when you will be able to collect these from the club in person with ID. 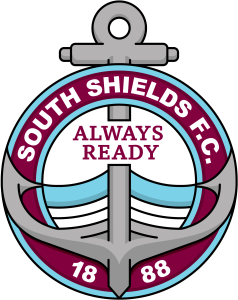 If you are unable to purchase online, please visit Mariners Park or call us on 0191 454 7800.